We’re joining with the Coffee Loving Card Makers today to share the love of coffee. Today is National Coffee Day, and we have some caffeinated fun for you. You can enjoy all the posts in this blog hop by checking out the main post, or click on the banner above. Here are some great samples featuring this set from our team! Click on the images below to be taken to the supply list and instructions for each project on our website. On this next card, Debi Hammons used the adorable Gingerbread Man from the Scrapbook Adhesives by 3L 3D Foam Holiday Embellishment Set. She added our Gold, Red, and Black Ultra Fine Jewel Glitter for some extra sparkle. Some of our Design Team Members are addicted to caffeine as well! 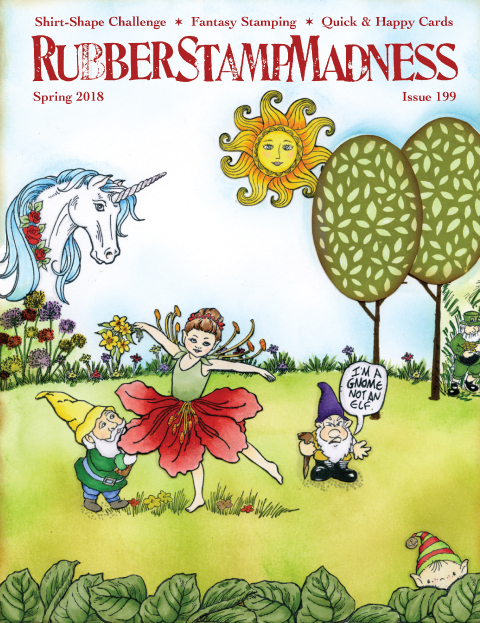 Check out these cute projects and leave them some love for extra entries into our contest. Wonderful inspiration on this great day! I too am enjoying my coffee! Your designers made such wonderful projects to inspire us. Thank you. Love the stamp set and dies! Great stamp set! I love the sentiments! Great projects, love the cookie bag topper, fun idea. Such sweet cards and great ideas. Love them all. Love your Cookie Christmas set! Such fun cards and projects! Lovely images!! Wow thanks for the chance of winning!! I love that stamp set! Who doesn’t believe in Christmas Miracles…love that. Such fun projects! 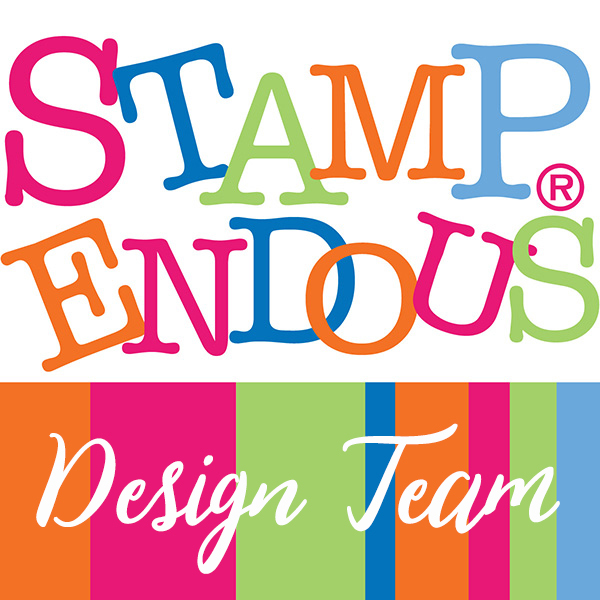 Thank you to Stampendous for joining us today! OH this is so super cute!!! Happy Coffee Day!!! Look at all that coffee holiday inspiration. Love them all. Coffee and Christmas definitely go hand in hand! 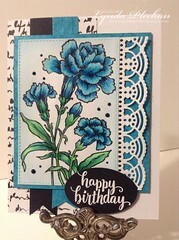 I love your little stamp set and the cards created! Thank you for being a sponsor of this hop and for showing us all of the lovely makes — so happy I live in the USA which makes me qualified to enter your giveaway too – have a blessed week and drink a Mocha Mocha my favorite! Oh, I hunger and thirst for that adorable stamp set! Love the images and can just imagine using them to “pretty up” packages of holiday goodies. Love seeing the designers’ samples…so appealing! 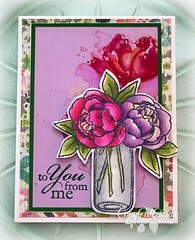 What great ideas on the different ways to use these stamps and dies! Happy National Coffee Day! Ha ha! Love the sentiment on that set! So funny….and TRUE! Thanks for hopping along with us! I just love your stamps and this one is no different! This set is soooo cute! TFS! I LOVE these fun holiday stamp coffee sets! They would be so perfect for treat bags and little tags! Thanks for being a super sponsor too! This is such a cute stamp set and you all used it so creatively. Thanks for sharing. Especially like the coordinating die set. What a cute stamp set. And darling ways to use it. Oh my gosh, what a cute set and great prize! Love it so much! What a DARLING STAMP SET! Such cute projects too! Super CUTE Designs! LOVE them! I love these cute projects and I love that there’s no calories in food that starts with “C”. Yay! Oh my, treat baggie idea is amazing! Love the glitter on the gingerbread. The tray of cookies and coffee is fun. Ooooh, you mean I can eat more C’s…I’m in for that. Adorable stamp set and love the group of sweets. Thanks for sharing your inspiration with us and Thanks for being a super sponsor for this BlogHop. Such fun products & cards! I checked out the individual projects from the DT but didn’t see a place to leave comments. Cookies are adorable with the coffee. Snacks that start with C…what a great stamp! That is great and the creations on this page are fantastic! Thanks for sharing your creativity with us on Nat’l coffee day!!! I like the holiday theme with these products. Such a fun new stamp/die set with lots of inspiration! Wow the creations using the sets are so inspiring. Great projects. I especially like the little treat bag topper with the cookies. Happy Coffee Day. So cute! These cards are getting me into the Christmas Spirit! Really cute stamp set! And your DT have created some really cute cards with it! Cute set and cute creations! Each talented team member has done a unique and wonderful job showcasing this adorable set. Thanks for the fabulous inspiration. Stopping at each members’ blog was a treat because they all did such a fabulous job. I love being inspired. What a wonderful stamp set and I love all the creative ideas. What a fun stamp set and adorable projects! Thank you so much for being a sponsor! Adorable stamp set! Love those cookies! Cute stamp set and creations! Fabulous Inspiration from Design Team, OMG this is one set that has so many possibilities!! Love it!! Fabulous creations! Love my coffee! Awww, this is such a cute set and can be used in a lot of fun ways! Love the marshmallows! Such cute Christmas stamps! I hope I win. These projects are so fun and love the cute small images. I love the sentiment on the card–if only!! This is a very yummy card and I just adore it!! Always enjoy my coffee. Adorable cards and stamp set. Gorgeous creations, these are perfect for Christmas treat gifts! I absolutely love this stamp set. Your DT did a wonderful job on their projects. Each projects is so fun and original from each designer. Thanks for inspiring us, and thank you for sponsoring this blog hop. 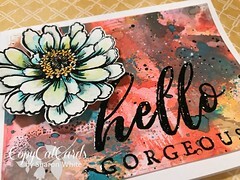 Love that fabulous Stampendous stamp set!! Love that you made a border with these fun images!! Great inspiration! Wonderful stamp set, love all the projects! What an adorable stamp and die set that I would just LOVE to own! Thank you for the sweet DT inspiration! What a great set for decorating neighbor gifts at the holidays! Cute projects! Love the cookie bag topper! Fantastic stamp and die set, so many fun creations waiting to happen. Wonderful inspiration from the design team. Adorable stamp set and cards!!! I adore this stamp and Die set, great work by the design team! The saying with the Snacks made me laugh. So perfect for Christmas hand-baked gift giving! These are all lovely. Such a cute set! And those cards and goodie bags very nice! I like that if starts with c… I say if you break open the cookie and other sweets the calories fall out. what a great set! 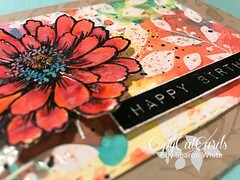 luv Stampendous! such quality!! What a fun stamp set and i LOVE the samples by the team. My favorite though is the treat bag topper because I am a total sucker for treat bags! They are very sweet cards! Love the stamp and dies. Thanks for sharing amazing projects with us.